Part of what we do is bring you information on local services and those who provide them. This week we focus on a great local organisation that has been dedicated to residents for 20 years this year. When did the CCNB begin? Community Care (Northern Beaches) began in 1994. We started with one project, providing case management for older people and people with disabilities with complex needs, who were living on the northern beaches – helping them find the right services to support them so they could stay living in their homes and in their local community. These services included domestic help, food services and assistance with laundry. Why was the organisation formed? A need was identified in the northern beaches to help older people stay living in their homes for as long as possible and in their local communities – which they know and love. CCNB received funding from the government to provide specialised management of these services (case management) and to coordinate them to suit individuals. In the 20 years since, these specialised services have expanded to include an extensive range of supports not only for older people but for people with disabilities, mental health issues, people with dementia and carers, across all of northern Sydney. What are some of the activities and services that have been offered during this time ? The attempt at the world’s largest outdoor exercise class was organised by CCNB. And apart from smashing the record with 52 people coming along, the event also highlighted the importance of exercise as we age. One of the programs that CCNB manages, Keep Healthy Longer (KHL), is aimed at people over 70 years with a health condition or a high risk factor of chronic disease, to help maximise their health and well being. People have been helped with nutrition advice, an exercise program, transport or physiotherapy. Another fun service coordinated by CCNB for people with a disability is a local bowling group, which meets regularly, and provides exercise and social activity for a group of men. CCNB also organises regular information nights with Alzheimer’s Australia, about dementia and how best to manage the disease and the support available in the local community. The next info night will be held on August 12 at Warriewood. What is the range of services offered now? 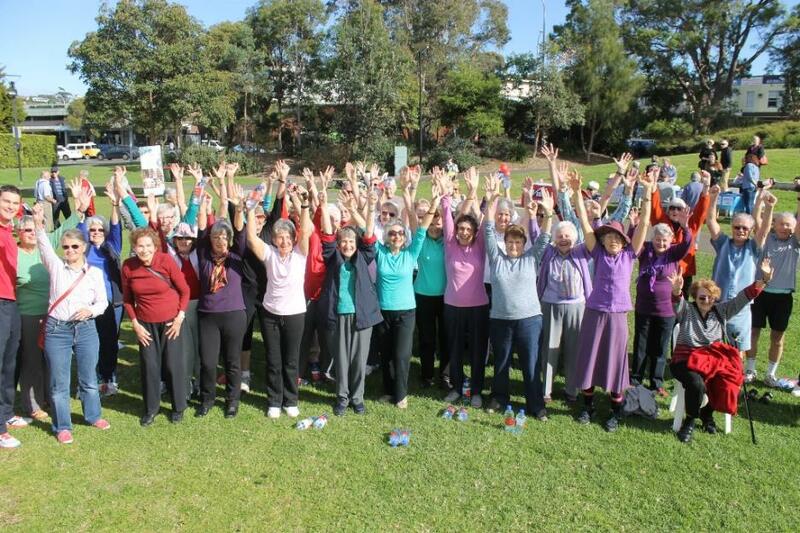 Today, CCNB is one of the largest providers of community care located within the northern Sydney region. We are a not for profit, non-religious organisation, funded largely by state and federal governments. We have over 60 staff who specialise in knowing the services available to support people who are ageing, people with a disability, mental health issues, people with dementia and carers – and how these services can be best matched with an individual’s needs. The organisation manages over 20 programs all aimed at assisting these groups in our community. Case study: Kevin was 73 when he experienced a major stroke during a scheduled knee operation. Prior to his stroke, Kevin led a very full life, playing lawn bowls and was an active member of the Men’s Shed. As a result of his stroke, Kevin has permanent vision impairment and other physical limitations. CCNB helped Kevin by coordinating various services including his physiotherapy, occupational therapy, sorting ongoing home support services like domestic assistance, food preparation and laundry as well as organising assistive technology equipment to help him remain living independently at home. Case study: Eva, 87, was born in Poland. She and her husband spent time in concentration camps before moving to Australia. Her husband passed away several years ago and she has no family in Sydney. Eva lives in Department of Housing accommodation and has experienced ongoing harassment from a neighbor with mental health issues. Earlier this year, Eva lost function in her hands, arms and legs because of a spinal condition and was unable to sleep at night. Hospital staff and family members were encouraging her to go into care. CCNB case management helped Eva find a new GP who could do home visits; worked with family members to assist with medical appointments; organised ambulance transport to specialist appointments; organised daily phone calls from Red Cross to check on her and sorted daily domestic services to assist Eva remain at home. Following successful surgery recently, Eva is back at home with assistance, and the neighbour has been evicted. How may be people get in contact for services and activities? Anyone can make a referral to CCNB by calling 02 9998 2900 or 1300 002 262 (1300 00 CCNB). Some programs have specific eligibility and referral processes but this can be explained when you contact us. When you call CCNB, you will be directed to intake staff who will listen to your story and discuss the programs which will suit you best. Most programs require a fee or contribution but CCNB staff will discuss this with you and your capacity to contribute. What is coming up for Community Care (Northern Beaches)? CCNB is celebrating its 20th anniversary in October. Since starting in 1994, with one program, we now provide services to nearly 3,000 people through 33,000 hours of case management. Stay tuned for details of our celebration! What is the Community Care (Northern Beaches)main focus? We connect older people, people with a disability, people with a mental illness, and their carers with opportunities that enrich their lives. We facilitate anything for anyone who accesses our organisation for support. To find out more call us on 02 9998 2900 or 1300 00 2262 (1300 00 CCNB) or visit www.ccnb.com.au. Office hours are 8.30 am – 4.30pm Monday to Friday. Above: CCNB management team. 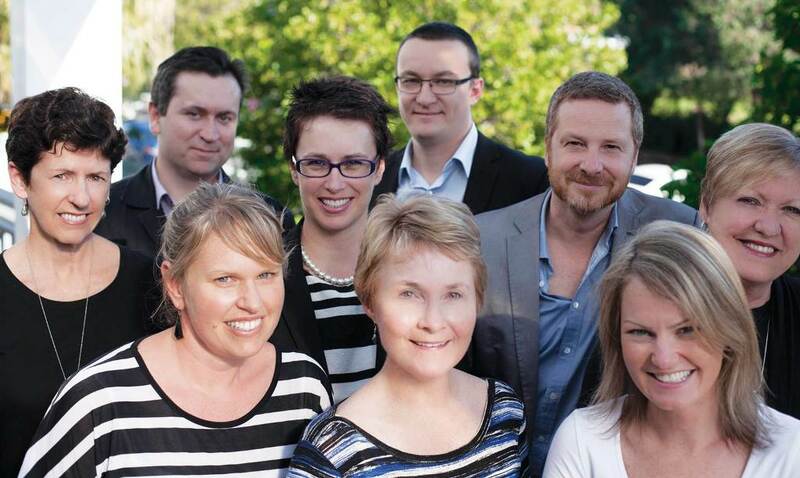 L to R: Vicki Johnson, Peter Maloney, Kerrie O’Sullivan, Sarah Brisbane (CEO), Janie Pocklington, Jules Grove, Kris Kirby, Alyssa Stephenson, and Fiona Winter.